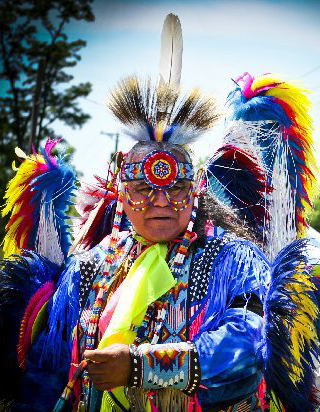 Robert Soto, a Native American dancer who pastors the Grace Brethren Church in McAllen, Tex., has been involved in a protracted legal situation after federal agents came to a pow wow on March 11, 2006 and confiscated 42 eagle feathers there were being used in ceremonies. In part, the case centers on the fact that the tribe of which Robert is a part, the Lipan Apache, is not a federally recognized tribe. In February 2013, the case was denied in U.S. District Court, Southern District of Texas at McAllen. Lawyers in the case appealed to the Fifth Circuit Court of Appeals on January 8. Robert said that the hearing on Thursday went well. “[It is] Hard to imagine that this case has been on the books for almost eight years,” he noted. Robert says that the lawsuit is in response to laws that he feels clearly discriminate against us as Native People. “The three laws that we violated, according the agent, gave the government the right to come to our gathering and disrupt what we were doing,” he said. “I was told that because the pow wow was put on by non-status Indians, it ceased to be sacred, but became a public gathering giving officers of the Department of Interior the right to come in and harass our people. By status Indian, we mean one belonging to a tribe recognized by the federal government. “I was told because we advertised our pow wow in the newspaper, it ceased to be sacred, but became a public gathering giving officers of the Department of Interior the right to come in and harass our people.